I was tagged to do this by both Michelle @ Book Adventures and Ariana @ The Quirky Book Nerd , these ladies are both absolutely fantastic bloggers so make sure you head over to their blogs and check it out! Seriously, do it. This tag and all of these lovely Harry Potter themed images were created by Lashaan and Trang from Bookidote! The only rule of the tag: you cannot use Harry Potter books for any of your answers. A darker Peter Pan retelling with a potential love triangle between the MC and young adult versions of Hook and Pan? Yeah that drew me in right away, but it was not dark or twisted, the love triangle wasn’t as great as it should have been, and these versions of Hook and Pan were boring. If it were up to me to rewrite it I would actually add some darker, creepy elements to the story as well as make Hook and Pan a little more swoon-worthy. I haven’t finished this series YET but as soon as I finished the this first book I went out and bought ALL of the other 3 books. So yeah, I guess you could say I was hooked and I can’t wait to finish! There sure are a lot of books I wish I could have right now! 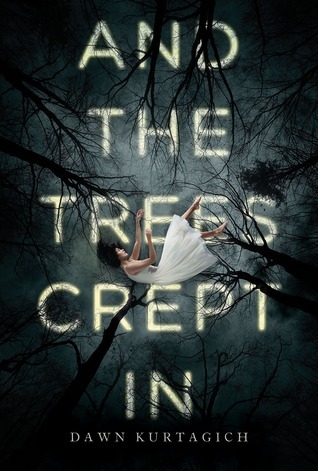 Normally I would probably go with “Gemina” but I REALLY need some good old fashioned creepy horror right now and this book is sure to be perfect! I really enjoyed Kurtagich’s other book “The Dead House” and I’m sure I won’t be disappointed with this one either. This book definitely falls under both senses! It was a five star read for me it had everything I wanted: a dark, twisted plot, morally ambiguous characters, and fantastic writing. Not to mention it is a horror book so it definitely is “killer”. 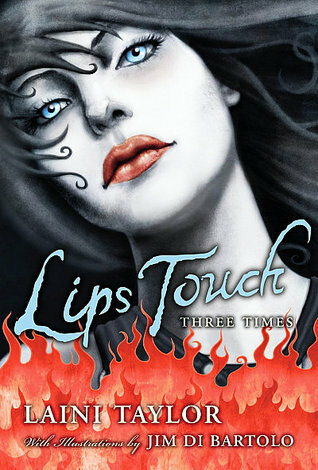 I read this book a looooong time ago and never reviewed it but I do remember when I read it that I was confused as hell! I felt like there was too much trying to be crammed in and at the same time nothing was explained well enough which all lead up to an unsatisfying ending. Not a fan. I am a sucker for fantasy novels. Especially when they contain 100% badass heroines, unique and in depth world building/mythology, Thunder Tiger companions, and chainsaw katanas. There’s a lot going on but seriously best way to sum up this book: badass. 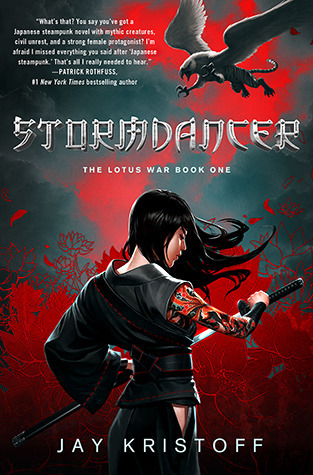 I just really feel like “Stormdancer” is my spirit animal book, read this and you will know me! Not really but you should read it anyways! Dammit! 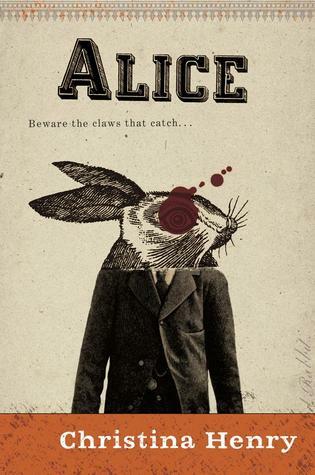 I already used “Alice” by Christina Henry….well just so you all know that’s my real answer! 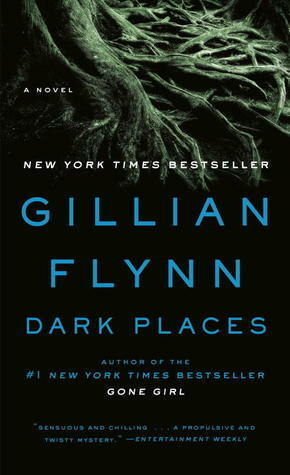 The next best thing to that, though, is anything Gillian Flynn writes especially “Dark Places”. It shows the very dark and twisty side of human nature. So at first glance at both the cover and the description you’d think this is some sappy, trope-filled, romance book when in fact it’s so much more. While it IS a very romance focused book it’s very unique, the writing is absolutely gorgeous and the stories are filled with original mythology. This was such a wonderfully surprising book! Let me get this out first: Peter Pan is one of my all time favorite fairy tales and definitely one of my favorite Disney movies. 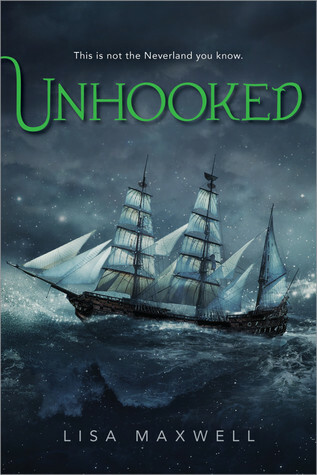 So of course I had to buy “Unhooked” when I found out it was a darker retelling of Peter Pan, unfortunately it fell pretty short for me and I was ultimately disappointed with it. Sure there were a few interesting parts but they weren’t good enough to distract me from this book’s flaws. This got really confusing by the end of the book and therefore my thoughts are also quite confused, I apologize in advance if some of my points get a little tangled. It’s hard not to rant about my issues with this book! It starts off pretty solid and interesting we get a little background on Gwen and we find out her and her mom have been on the run their whole lives from “monsters” right before Gwen and her friend Olivia are kidnapped and smuggled off to Neverland. So there’s some little tidbits here and there that piqued my curiosity and kept me reading such as: why was Gwen’s mom always running from these monsters? Who was Gwen’s dad and where did he go? etc. That kind of stuff. Gwen then lands herself on Captain Hook’s ship and the story goes from there. However, as the story proceeds the plot gets messier and more confusing with many, many things not getting answered. The only thing this book has in common with the Peter Pan story are the names of Captain Hook and Peter Pan himself and that it’s set in Neverland. That’s about it. 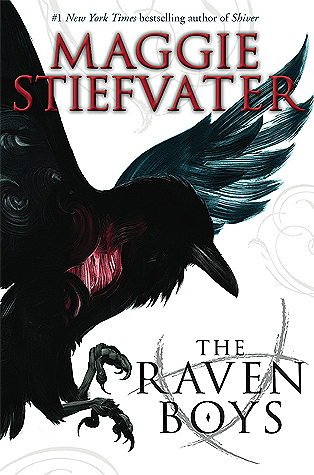 I know that retellings take elements of the originals and then twist it and such but I wanted MORE with this book. Really the entire book is a romance between Gwen and “Captain Hook” with other plot elements being used to make the book seem like it’s about other things when it actually isn’t. It’s all about that romance. The world building of this twisted version of Neverland was extremely lacking as were any explanations about events that took place in it. I was asking myself, “Yeah…but why?” way more than I should have. The thing that pissed me off about this book the most was the ending. It was waaaaaay too rushed, confusing, and messy. When I say rushed I mean rushed, it was like Maxwell was told to end this entire story with one page out of nowhere. If you’re going to write a standalone then don’t wait until the last 10 pages to suddenly bring an unsatisfying conclusion to your story. Maybe if there was less time spent building a slow burn romance then we would have had an actual ending that made sense. However, the number one reason I thought the ending to “Unhooked” was a disaster was because the romance took precedence over the friendship. Gwen got kidnapped with her best (and only) friend Olivia remember? What does she do the whole time she’s there? Look for her best friend, right? Kind of, when Gwen isn’t too busy making goo-goo eyes at Hook. Since I don’t want to actually spoil the ending though, I can’t say the whys or hows. Just know that in this book friendship gets trumped and that’s not something I enjoy in my books. Also when you want to market your book as a “dark” retelling you need to add a little more than a few monsters. When you say dark I want dark, evil, and downright twisted. So what did I actually like about the book? I enjoyed some of the darker twists to Neverland and the inclusion of Dark and Light Fae, also this book was very fast-paced which is one of the few reasons I could read through it. Short of all that though I wasn’t too happy. Gwen was just….okay. Is that a bad thing? Not necessarily. Is it a good thing? Not really. I want MORE from my characters than just okay-ness. Gwen was a pretty passive character and wasn’t as complex as I would have liked she sort of just let things happen and never really took charge herself. Gwen was one of those characters you yell at through the entire book telling her to do stuff or quit doing certain things, you know the drill. One of the few things I liked about her was her loyalty to her friend Olivia, however that really wanes by the end of the book. Overall she was sort of just a dull main character that I didn’t relate to at all. Besides Gwen the only other important characters were Hook and Pan. I actually really liked Hook’s character in this book because he’s clever, calculating, and a bit snarky. The twist with his character is that he isn’t as bad as our original Hook.This Hook is actually quite compassionate and it’s very endearing, he really loves the boys that are under is care. Thus making him by far my favorite character in this book. As far as Pan’s character though, I didn’t like him and that was very disappointing since of course my favorite Peter Pan character is Peter Pan. He was just a really flat character for me and of course since this is a twisted retelling Pan isn’t exactly our original hero, however, I didn’t buy it. He wasn’t bad and he wasn’t good, he was boring. This Pan just doesn’t do the original any justice even for a twisted version. There were some very minuscule secondary characters and as with the main ones, weren’t all that interesting. There’s a few named “lost boys” and some other Fae but honestly if they were all cut from the story I don’t think it would change too much. Even Olivia, the main BFF, isn’t as important as one might think. She’s easily forgotten in the tangle of the romantic plot line. Want to know another big reason I picked this book up? The hint of a love triangle between Gwen and Hook and Pan. I’m not gonna lie, I got very excited by the thought of that since I’ve always loved the story of Peter Pan and having a YA version with a cute Hook and Pan with a love triangle was a dream come true. I usually hate love triangles but come on this sounded great! Unfortunately this was not the case at all….. The romance is pretty much strictly between Gwen and Hook, color me disappointed. It’s a pretty slow-burn romance which I liked but I just didn’t feel a lot of chemistry and I didn’t like how it continued after certain plot points at the end of the story, I can’t really elaborate without spoilers so I just won’t. The entire story had to change and evolve to make the romance work and that’s something I don’t like in my books, there should be a good, solid story that shouldn’t revolve completely around the romance. As I mentioned early too, the romance trumps the friendship. Not my style. Ultimately this book was disappointing and it was disappointing that it was disappointing. That all adds up to a lot of general disappointment, right? The plot was a complete mess and terribly confusing, the romance outdid the friendship factor, and none of the reasons I love the original Peter Pan story were apparent here even for a darker retelling, the main character was bland and passive. Overall, this is not the Peter Pan retelling you’re looking for. Nope, especially if you’re a big Peter Pan fan and definitely not if you’re looking for a good love triangle with a hot Hook and Pan. You will find none of that here and if you’re looking for a dark, twisted Neverland you could look in better places than in “Unhooked”. For example I’ve heard GREAT things about “The Child Thief” by Brom, that’s supposedly a very dark version of Peter Pan and has nothing but great reviews. I have yet to read it but I think it’s safe to recommend that in place of this.